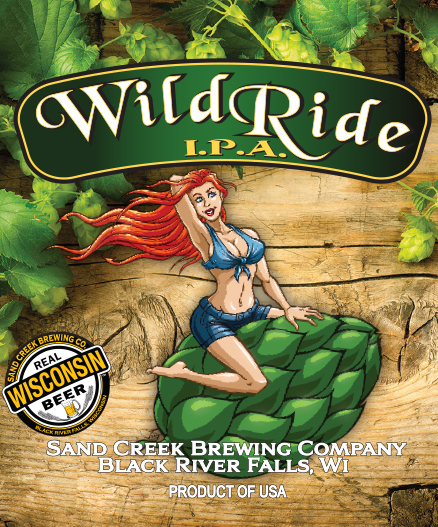 This velvety ale is brewed from a duo of Belgian and American dark-roasted malts. When poured, its deep garnet color is crowned with a creamy tan head. 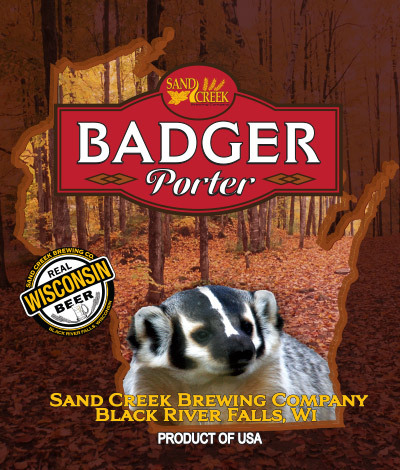 This American Brown Ale is brewed only in Wisconsin with American grown ingredients. 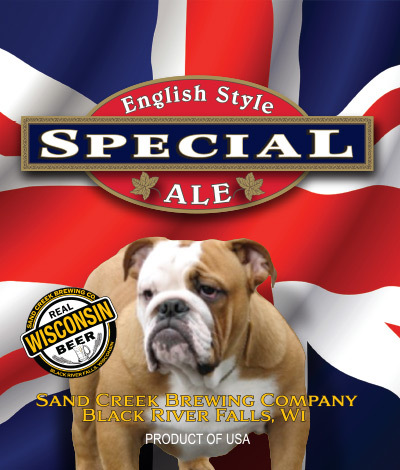 Brewed using rich roasted and caramel malts that combine with Golding and Northern Brewer hops giving this ale its copper brown color and malty richness. 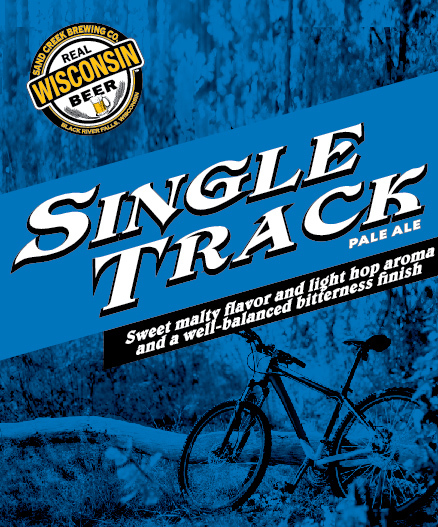 It is flavorful and very drinkable. with a pleasant mild hop finish. 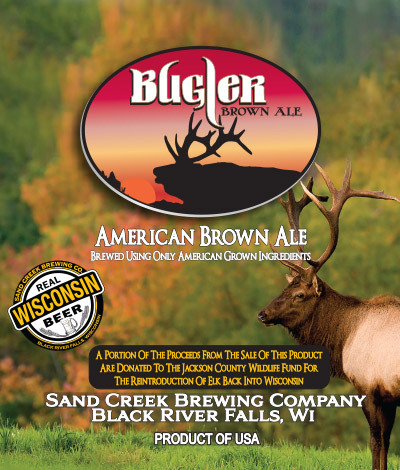 A portion of the proceeds of the sale of this product are donated to the Jackson County Wildlife Fund for the reintroduction of elk into Wisconsin. A very full-bodied yet smooth-drinking stout with a complex nutty finish. 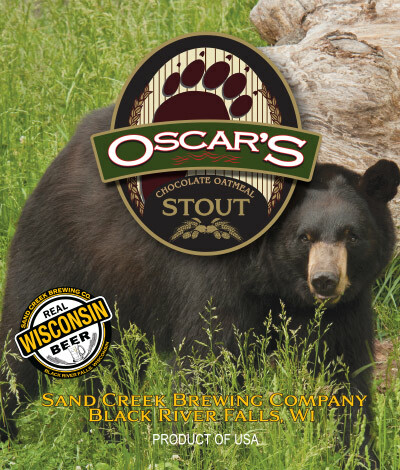 Gold medal winner in the 2000 World Beer Cup - Oatmeal Stout category. A robust traditional English ale with a fine roasty-toasty flavor, handcrafted from select roasted barleys that impart its red-brown hue. (July through December) This hard lemonade is crisp and refreshing with a tart twist that balances perfectly with the lemon. 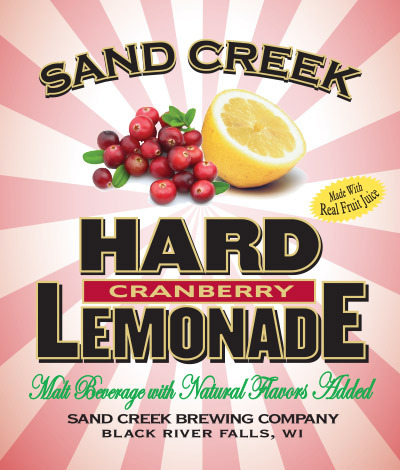 We are proud to brew our Hard Cranberry Lemonade with real Wisconsin cranberry juice! Made with real fruit juices and real sugar, our Hard Lemonade is a deliciously refreshing citrus concoction. 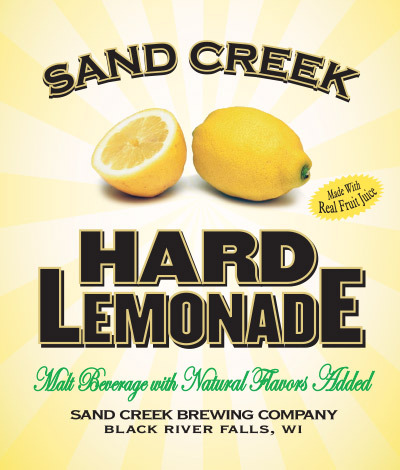 If you like hard lemonade, you'll love Sand Creek! 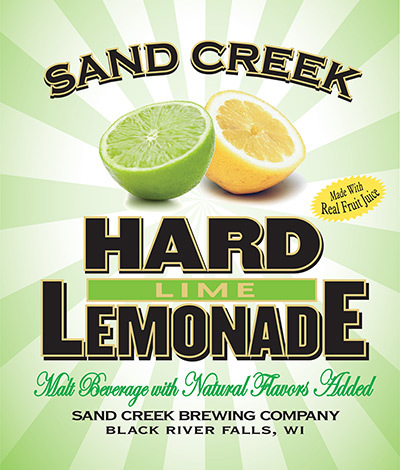 It's our latest twist to our family of hard lemonades - a delicious dash of lime to that great lemon flavor. Made with real fruit juice and real sugar! (January through June) We added sweet pomegranate juice for a new twist to everyone's favorite. 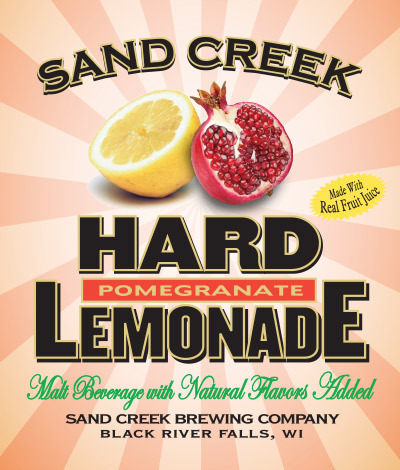 This wonderfully smooth and sweet lemonade is a great addition to our seasonal lineup. This Marzen style lager is robustly red in color with a great malt flavor. 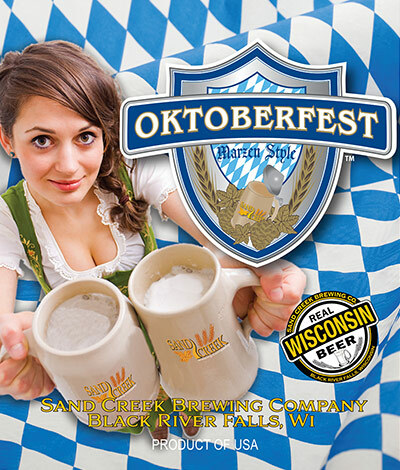 2000 World Beer Cup Gold Medal: Marzen-style/Oktoberfest category. Bright brilliant golden–amber color with sweet malty flavor and a gentle hop aroma. This beer finishes with a well-balanced bitterness that appeals to all, experienced hop-heads, and those who want just a bit more crisp tart finish. This classic India Pale Ale is wonderfully hopped for a strong start, a smooth finish, and a fine amber color. Woody's Easy Ale is brewed for everyone. This easy drinking ale, light yellow in color, has a clean, refreshing taste and pleasantly clean finish. Woody's Easy Ale pairs perfectly with most any food, especially at a backyard barbecue , or having snacks on the beach with friends. 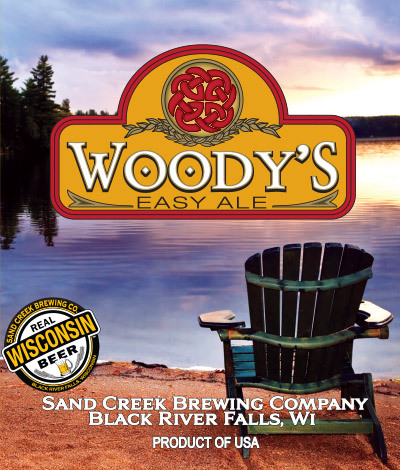 Woody's Easy Ale is also a great companion when just a little quiet relaxation is in order. Want to take it easy? Just say Gimme a Woody's please!